Here’s to a little Thanksgiving lunchbox packing fun for everyone. What is it? We surfed the web to find Thanksgiving Riddles. We then picked six riddles that were stumpers. Our main test requirement to narrow down the six to share with you? They ultimately had to make all of our test shares laugh. We then turned them into printable lunchbox notes so that you could share them with your family. We’ve made it super easy! All you have to do is print them out, cut them into individual riddle cards and share them with your family. What we’ve found? Everyone has been enjoying them. As we share the cards, typically everyone is stumped until the last card when they start to catch on to the humor pattern and start thinking in riddles. Riddle: If April Showers Brings May Flowers What do Mayflowers bring? Riddle: What sound does a Turkey’s Phone make? Riddle: What always comes at the end of Thanksgiving? Riddle: What is the best thing to put Into pumpkin pie? Riddle: When the pilgrims landed, where did they stand? Check out our lunch time food art Thanksgiving fun that’s perfect any time this month or to use with left-overs the weekend after by clicking here. These printables are so fun! Always love lunch box notes (although I use them for my hubby instead of the kids since we homeschool). LOL. Thanks for the share! I’d love to have you link this to Titus 2 Tuesday this week on Cornerstone Confessions.. I hope to see you there. These are so fun. My grands would love them! I think I will pring some and put one on each of their plates. Thanks for sharing with SYC. I hope they do. I’m not certain who had more fun with them here, I think it was me – lol! This is so fun. I can’t wait to use them with my kids. I will be pinning this for later. I found you from Five Little Chefs Link party. Thanks for sharing! THANK YOU – Happy THANKSGIVING :)! Yay! I am a big fan of lunch notes. Featuring you tonight at our blog hop! THANK YOU so much for the feature – XO! Hope your Thanksgiving was awesome. I’m just getting ready to put up holiday ones :)! I want to be your kid, you always have such fun ideas! Thanks for sharing on the weekend re-Treat link party! LOL! I always wanted a 4th :). These are great! I love this idea! 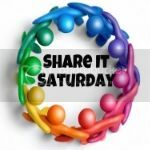 Thanks for sharing on We Made That Wednesday! THANK you – always love visiting your party :)!